Ms. Lopez’s Class is a fun, respectable and safe learning environment! Love to dance? We Go Noodle Everyday!!!!!! Make sure you open your Go Noodle student account so you can dance at home too! Class Dojo is an important communication tool. It is the best way to communicate with me in a daily basis. Parents and students can open accounts and track behavior, classroom stories and keep up with weekly announcements. It is easy to sign up and there is also a mobile app available. My name is Ms. Lopez and I am very excited to be a part of your educational journey this year. 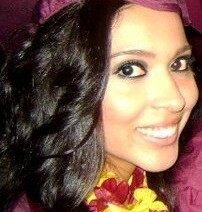 I graduated from ASU with a Bachelor’s in Education and GCU with a Master’s in Educational Leadership. This will be my seventh year teaching. I promote a fun, safe and respectable learning environment. My philosophy is that students learn when they feel safe, loved and enjoy being in the classroom, so I am consistently thinking of fun ways to teach and always promote hands on and engaging lessons. I enjoy watching and playing sports. I also like to have fun! I am so passionate about this profession and I know we will have a Pawsome year!!! Welcome 6th Grade ELA/SS Cheetahs! !